Description: 1075th-Splendid escape – 5 is an interesting point and click type new room escape game developed by ENA games for free. Assume a situation that your friend called you for a dinner party in his house. So you went to his house. When you knock the door, it seemed to be open. When you entered into the house, the door locked automatically. More surprisingly, the house seemed to be of signs for dinner party to be carried out. So, you are in a confused state. The only thing you need to do is escape from the house. It would be achieved with your brilliance. As you are the person of good problem solving nature, surely you will find the necessary objects to solve the puzzles. 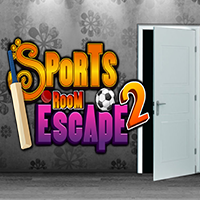 Have greater Excitement and Fun by playing new escape games daily. Good Luck and Best Wishes from escape Games.